This house is a MUST-SEE! 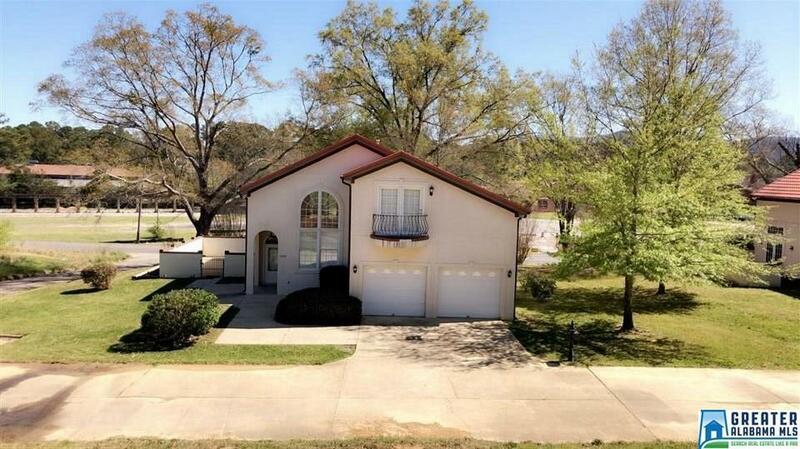 Located in historic (Fort) McClellan, this 3 bedroom, 2.5 bath home has an open kitchen and living room concept with gorgeous vaulted ceilings and tall windows for a magnificent mountain view. The beautiful kitchen and living area are equipped with solid surface counter tops and hardwood floors. There is an outdoor patio area perfect for entertaining or relaxing outside, an outdoor balcony, and even an indoor balcony overlooking the kitchen and living room space on the main floor. The house sits on a small hill with neighbors close by, but provides a very private feel. This home&apos;s location also gives easy access to a golf course, soccer fields, bike trails, a walking track, fitness center and much more. Call for your private showing today! Driving Directions: From Anniston, Head North On Hwy 21 (McClellan Blvd), Turn Right Onto Baltzell Gate Rd, Keep Left Onto Baltzell Gate Rd, House Is .5 Mile Down On Your Right.